Oswego, IL Air Conditioning Repair and Cooling - RJ Kuhn, Inc. When the temperatures soar during summer, we all appreciate having a cooling system that works as it should – one that responds when it’s supposed to and doesn’t create stress or discomfort. Based here in your hometown, RJ Kuhn specializes in cooling systems and air conditioning repair for Oswego homes and businesses. If your cooling isn’t running correctly, or you believe it could use an inspection or tune-up, you have the resource you need close to home. We’ve been serving Oswego since 1972, so we’re familiar with the village’s different cooling systems. We also offer the most current cooling solutions and equipment. With RJ Kuhn, you understand what’s functioning properly with your Oswego cooling system and what isn’t. If something is flawed or inoperative, we can diagnose whether air conditioning repair is cost effective or the unit should be replaced. 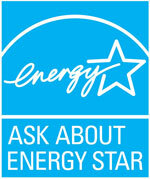 Our evaluations often save Oswego customers from hundreds to thousands of dollars. We also offer Oswego cooling customers our Kuhn Care maintenance program. Leading benefits include 30% savings on service-call parts and labor plus extended service hours without overtime charges. Our Oswego cooling customers have access to 24-hour emergency service as well. Carrier® 5-Stage Condensing Unit. Uses only capacity needed to cool your home depending on outdoor conditions; can dehumidify your home without lowering temperature. Carrier 16 SEER Condensing Unit. Single stage in a compact unit for significant energy savings; qualifies for ComEd rebates. 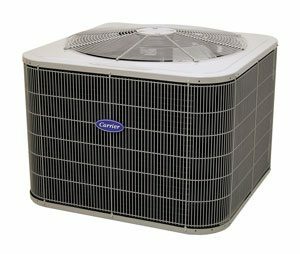 Carrier 13 SEER Condensing Unit. State-of-the-art performance in a compact system; price competitive. Carrier “N” Coil. Greater coil-face surface area for optimal heat transfer for greater cooling and dehumidification; slower velocity of refrigerant in the coil to eliminate deterioration of copper tubing. Oswego’s seasonal weather can get pretty hot and humid. Our cooling service and air-conditioning repair keep you relaxed and comfortable in your home or office when it’s warming up outside. Call us at (630) 554-3336 today to speak with a specialist about our cooling service and air-conditioning repair for Oswego, IL. Be sure to ask about our Kuhn Care program!